Our practice has been providing high quality dental care for patients of all ages in the Shelby Township area since 1994. Our experience and genuine concern for our patients, combined with the latest in dental technology, enable us to deliver exceptional care day in and day out. We are a small, friendly office and our team is dedicated to providing patients with the comfort, care and personal attention they deserve. We'll work within your budget to keep your teeth healthy and your smile bright. This website provides information about our practice philosophy, our Shelby Township office, dental insurance and scheduling appointments. And, because we believe informed patients are better prepared to make decisions about their health and well being, you'll also find valuable information about dental problems, diagnoses and treatments. We encourage you to review this information to help you better understand any concerns you may have. 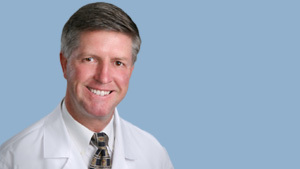 Dr. Dixon graduated from the University of Michigan School of Dentistry in 1982. He has attended numerous continuing education courses over the years to keep up to date with the latest dental treatments and technologies.